In 2003, The Room hit theaters and was instantly known as the “worst movie ever made.” The cult film was written, directed and produced by its star Tommy Wiseau. His best friend Greg Sestero, who also starred in the film, wrote a book titled The Disaster Artist, which recounts the unbelievably bizarre details and events behind the making of the film. James Franco fell in love with the book and adapted it to the big screen to create a masterpiece titled The Disaster Artist. 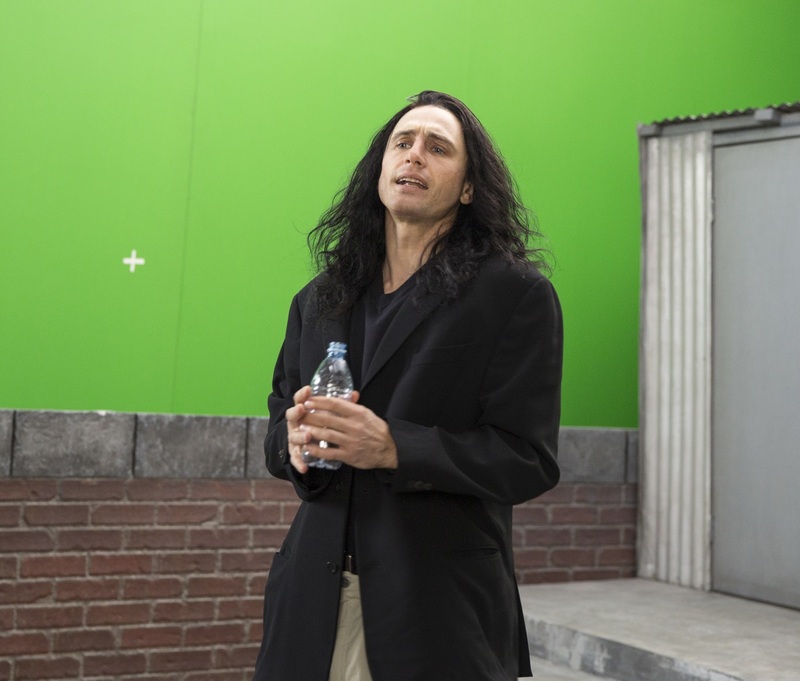 James helms the film and stars as Tommy Wiseau while his brother, Dave Franco, plays Greg Sestero. The film is centered on Tommy and Greg’s friendship as they go about making The Room. In 1998 San Francisco, Greg Sestero meets Tommy at an acting class and is immediately blown away by his performance. We're not really sure why. They strike up a friendship and decide to move to Los Angeles to get a better chance at succeeding as actors. After many unsuccessful auditions and continuous humiliation, Tommy decides to write his own movie. He convinces Greg to not only help, but also star in his movie. Tommy has an unending supply of income -- which is as much a mystery as his accent and age. He funds the entire film, yet has no clue how to make a movie. They hold auditions and hire a crew who are unsure of his credibility (as are we). With his terrible acting, the supremely untalented Tommy gets under the skin of his entire team, including script supervisor Sandy Schklair (Seth Rogen). As the pressure of filming grows, so do Tommy’s insecurities. Greg scores an acting gig and a girlfriend, which doesn’t sit well with Tommy. Their friendship takes a toll and further strains the film’s development. 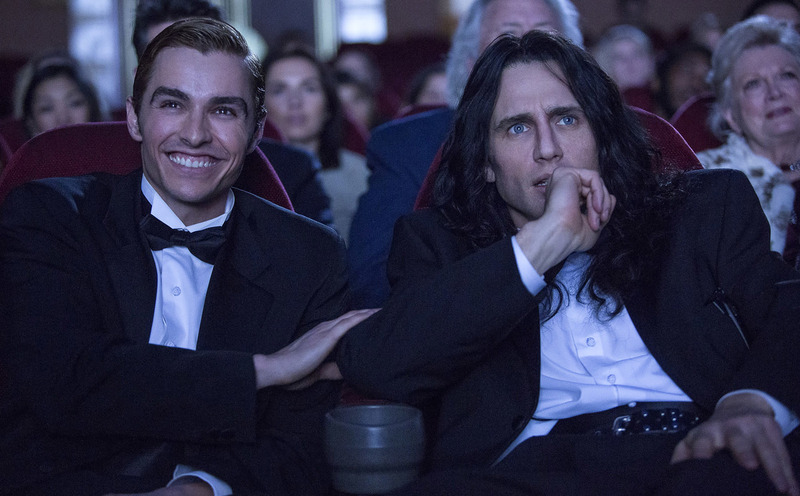 The Disaster Artist is a hilarious film that I didn’t expect to love as much as I did. James Franco delivers an applause-worthy performance as he steps into Tommy’s shoes and bizarre personality. His accent, colored contact lenses and long-haired wig further establishes his soon-to-be iconic role as Tommy Wiseau. This award season, I’d say we should celebrate James’ transformation as he delivers an earnest performance and transforms a cult comedy into a rib-tickling drama. Thanks to James, not only does the audience laugh at Tommy’s idiosyncrasies, but lends sympathy to a lonely and misunderstood man. James and Dave’s real-life brotherhood certainly adds a lovely dynamic as they play out Tommy and Greg’s friendship. While Dave has avoided working with his brother in the past to make his own mark in Hollywood, this film is a surefire way to demonstrate that they are truly a dynamic duo. They play well off of each other and I certainly enjoyed watching the brothers’ chemistry. Dave has often starred in goofball comedies before, but this film gave him a platform to showcase his strong acting chops. He isn’t overshadowed by his brother, but makes his own mark playing Greg Sestero. If you would like to review and rate this film, please click here. To watch our interview with Dave Franco, click here. Pure crap think I'll call myself Harvey and start making cheap movies how hard can it be ?